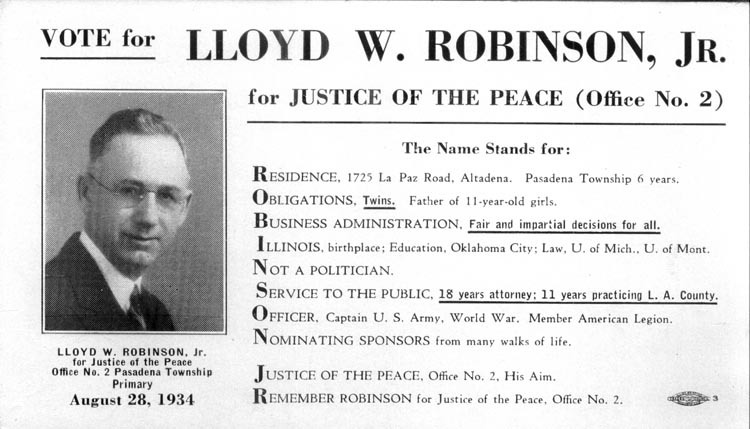 Vote for Lloyd W. Robinson, Jr. for Justice of the Peace (Office No. 2). Primary, August 28, 1934. Are you looking for ROBINSON ancestors? If so, we suggest posting a query to our Community Message Board to get assistance from other researchers.